April 13, 2019 6:12 pm. Nick Ryan has landed his first city double with Columbus Circle and Mahamedeis winning at Caulfield. Trainer Nick Ryan says it is more satisfying to train a winner than to ride one after landing his first city double at Caulfield. Ryan produced Columbus Circle to win Saturday’s Honan Insurance Group Handicap before Mahamedeis won the Manhari Metals Handicap. Combining in those wins was jockey Luke Currie who earlier won aboard Secret Blaze in the Galilee Series Final. 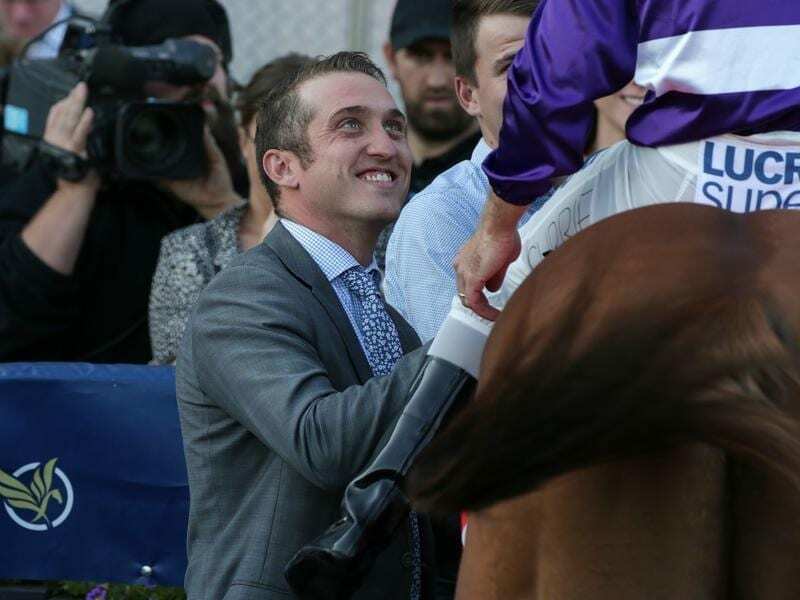 A former champion jockey in Melbourne, Ryan now prepares a small team at Caulfield. “I was confident about both horses today but you don’t want to play it up too much,” Ryan said. Ryan said Mahamedeis had been a great horse for the stable with Saturday’s victory his seventh from 20 starts. Mahamedeis was sent to the paddock for four days then spent time at Mordialloc beach after his last start fourth in the Golden Mile at Bendigo on March 30. Ryan is planning a return to Caulfield on April 27 for the VOBIS Gold Heath (2000m). “Not having a hard run at Bendigo after having little luck and pulling up so well, I thought he needed the run here today to top him off for the 2000 metres,” Ryan said.